The number of homes lost to foreclosure is closing in on levels not seen since before the housing meltdown. 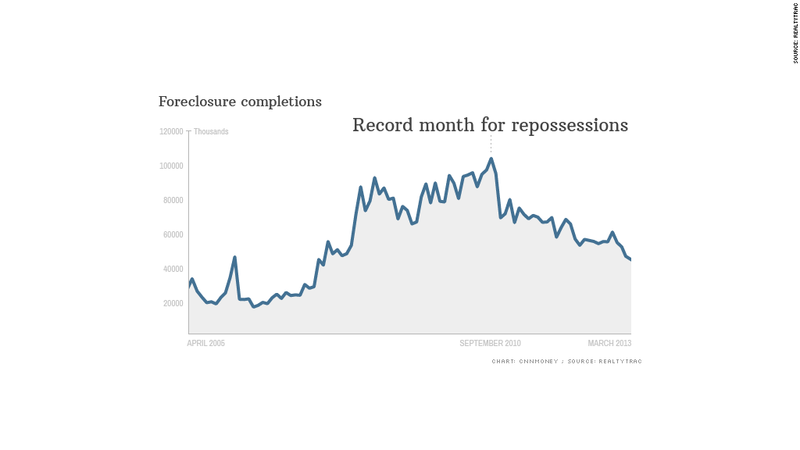 Foreclosure filings -- including notices of default, scheduled auctions and bank repossessions -- during the first quarter fell 23% from a year earlier, the lowest level since the second quarter of 2007. Last month, banks repossessed just under 44,000 homes. In September 2010, repossessions topped 100,000 a month. "We're getting back to normal and will be there by next year," said Daren Blomquist, vice president at RealtyTrac. For the past couple of years, foreclosures have been on the decline as homeowners seek alternatives like short sales, in which they sell their home for less than what they owe and the bank agrees to forgive the difference. The deals are preferred by the banks over foreclosures and have less of a negative impact on a consumer's credit score. But now even the need to turn to short sales is waning. Government initiatives, like the Home Affordable Modification Program and Home Affordable Refinance Program, have helped millions of borrowers avoid foreclosure. And last spring, under a $25 billion settlement deal with state and federal officials, the nation's largest mortgage lenders agreed to help struggling borrowers by lowering their mortgage rates, reducing their principal and other fixes. Now, the landscape of foreclosures is starting to look a lot like it did in the pre-bust years, said Blomquist. A larger percentage of the nation's foreclosure activity is occurring in areas suffering from severe economic problems, such as "Rust Belt" cities like Rockford, Ill. and Chicago, not in the recently-developed, mid-to-upper class neighborhoods of California, Florida and Arizona that were hit hardest when the housing bubble burst, he said. And many of the people who lose their homes now are dealing with a layoff or personal issue, such as a divorce, illness or death in the family, said Blomquist. During the housing bust, people were forced to default because of plunging home prices and unaffordable mortgage terms. There are some states that are still struggling with a backlog of foreclosures like Florida, Illinois and Georgia, all states where courts oversee the foreclosure process. 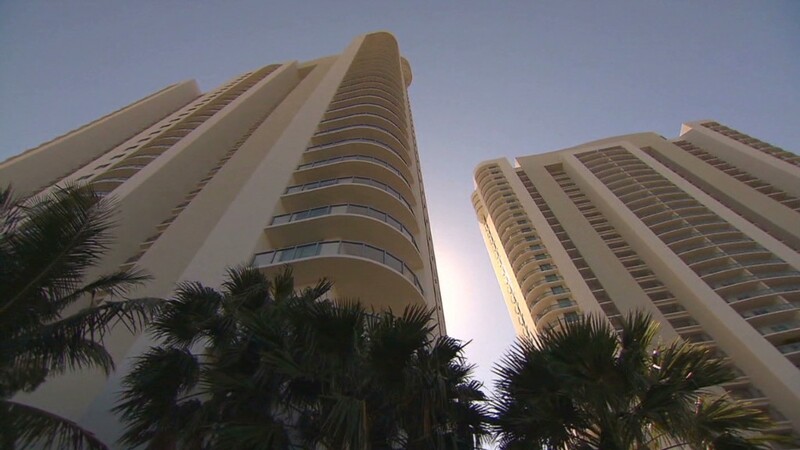 Florida had more than twice as many bank repossessions as any other state in March -- nearly 7,600. Illinois, with more than 3,500, was second and Georgia, with 3,350, was third. With prices expected to continue to rise -- they were up more than 8% year-over-year in January -- the number of short sales should continue to fall, and so should foreclosures, according to Blomquist.